We used to have an avocado tree in our back yard. We would watch and see what kind of harvest we get for the season. I learned a lot about avocados, some by hear say, and some by observation. Hear say – Avocado trees are male and female. I don’t know if it’s true, but ours did well all on its own. Observation – Squirrels love to take your avocados. They are tricky little rodents. We would find avocados on the ground with gnaw marks on them. That meant one less bowl of guacamole – very sad. I used to avoid guacamole because of the “fat”. Not anymore. It is one of my favorite dips, toppings, fillings, oh my. The avocado is so versatile, you can have savory, sweet, creamy, and smooth. Like I said, versatile. Here you can see the makings of a truly delicious guacamole. Make it your own, add mango for some sweet, or jalapeno for some heat. It’s gonna be good. 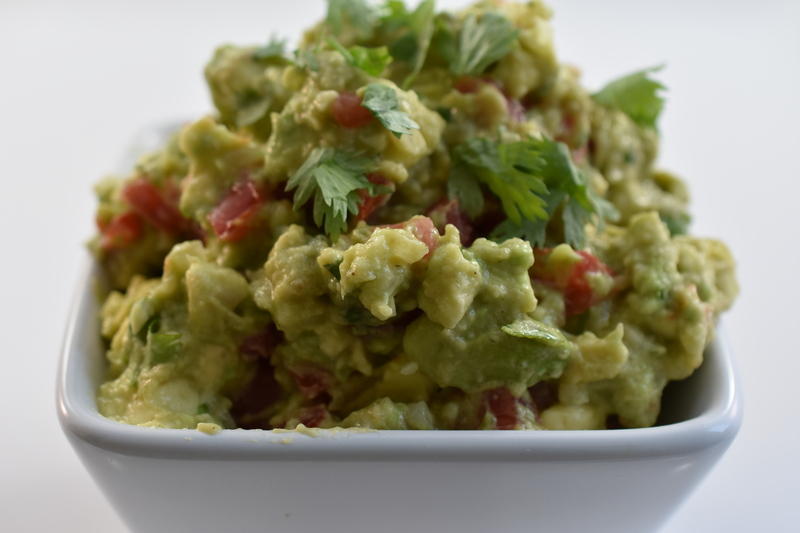 The thing about guacamole is that you really don’t have to measure. If you want more lime, or cilantro go for it. Less, that’s okay too. Taste it as you go, then it’ll be perfect. Here are the ingredients I used for this batch.